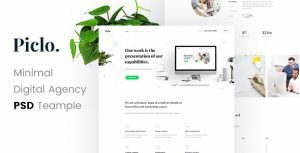 Viano – multi page oriented template with pretty clean and simple design. Created – special for portfolio and personal sites. Has many functional blocks, including modal windows, pricing tables, dropdowns and many other cool items. Majority of the images are not included in the download.